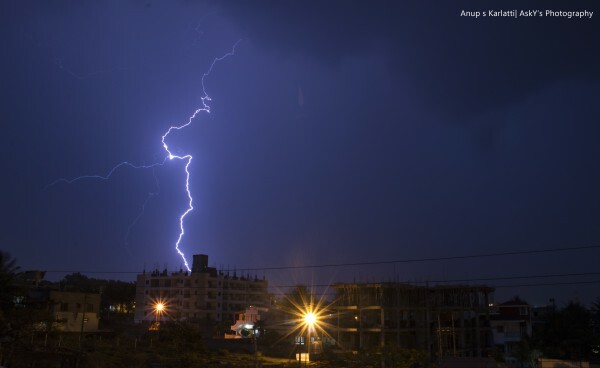 Anup S Karlatti shared this pic of lighting taken from Hanuman Nagar this evening. Moderate to heavy thunder storms hit the city now at 6:45 pm. Earlier in the day as well there was rain in some areas but it did not last for long. The downpour in the late evening was immense and most home goers were stuck. Some areas also experienced some hail storms.